Fort Lauderdale, FL (March 4, 2018) – Fort Lauderdale Historical Society (FLHS) has partnered with the Housing Authority of the City of Fort Lauderdale’s (HACFL) StepUP Apprenticeship Program to restore the New River Inn, located at 219 2nd Avenue, Fort Lauderdale. This partnership will allow apprentices to enhance their construction skills on historical restoration, as well as expand their professional portfolio. 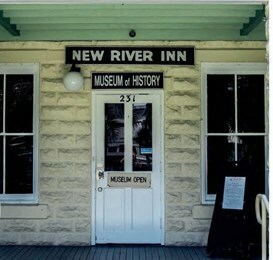 Restoration of the New River Inn which will be used as an Educational Center will include new flooring, reinforcement of all floor joists, and new drywall. StepUp participants performing the restoration will include one supervisor and up to four apprentices. The StepUP apprentices will perform additional restoration work such as building windows, painting, basic plumbing, and general building maintenance on six FLHS buildings. The StepUP Apprenticeship Program is a state certified program created by the HACFL in 1994 to provide apprentices with the opportunity to create a portfolio of education, training, and employment skills to increase their potential for permanent employment and economic self-sufficiency. During the program, apprentices are trained in construction skills with a specialty in housing rehabilitation and building maintenance for occupations in the public and private sectors. All apprentices are required to obtain their GED while in the program. The program trains low-income public housing residents and at-risk youth, and has succeeded in helping hundreds of Fort Lauderdale neighbors find pathways out of poverty, while improving the public realm in the City.